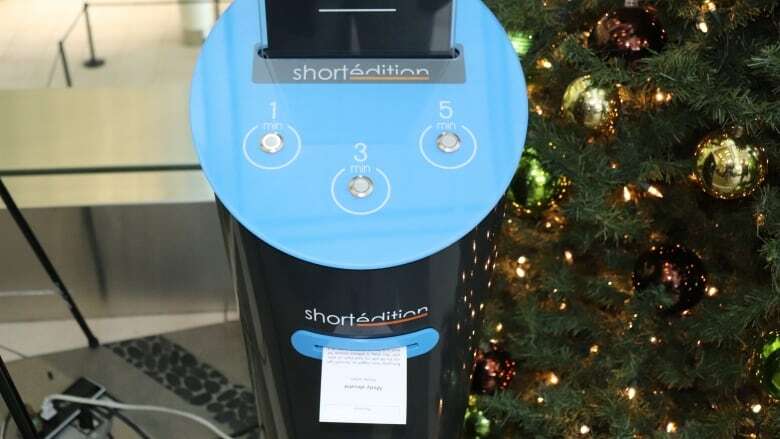 When Edmonton writer Jason Norman learned about the short story dispenser, he decided to help bring one to Edmonton International Airport and feature the work of local authors. The Edmonton International Airport recently became home to a strange new machine. "It's like an ATM, but you get literature out of it," says Jason Norman, a writer and publisher from Edmonton. The machine is called a Short Story Dispenser, and has three buttons on top for a one-minute, three-minute or a five-minute short story. Once your make your selection, the machine will print out a randomly-selected short story on a scroll-type of paper for the user to keep. These short story dispensers are now available in over 150 locations in cafes, schools and airports. But Edmonton is only the second airport to install it in the world, after the Lyon–Saint-Exupéry Airport in France. The idea came from French publishing startup Short Edition to encourage more people to read and write. It's also a great way to pass time and be entertained while you're waiting. "Some of the stories are really funny or really quirky," Jason says, "and a short story under a thousand words really packs a lot in, in the short amount of time you have to read it." 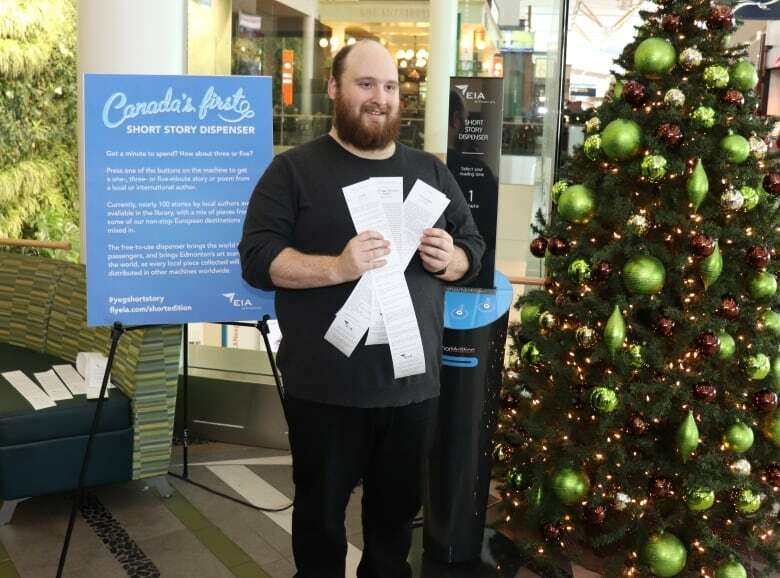 When Jason first learned about the short story dispenser, he made it his goal to help land one for Edmonton. 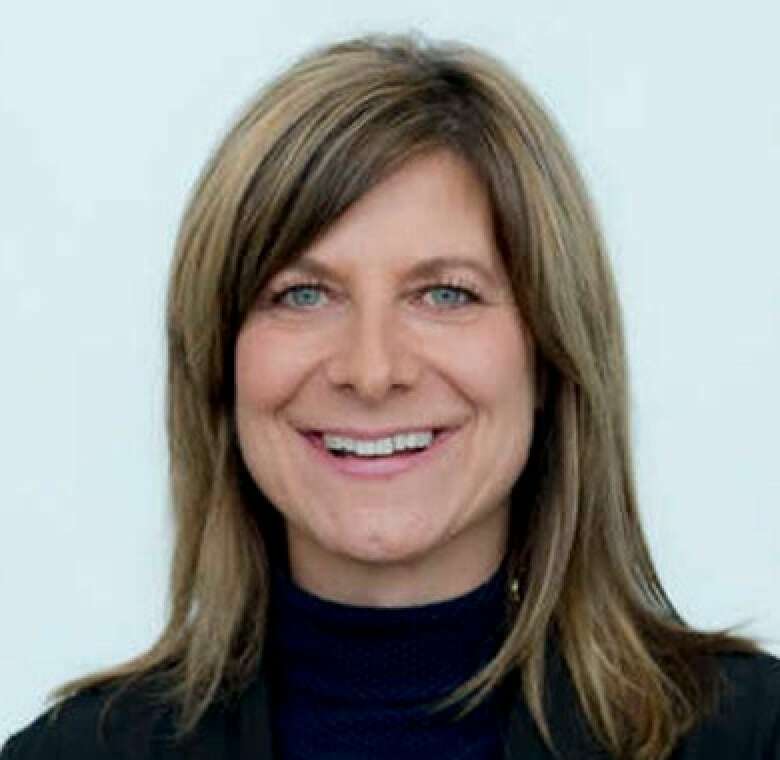 He thought Edmonton International Airport was the best place for the dispenser, and so he connected with Traci Bednard, vice president of digital strategy for the airport, to discuss the idea. But there was a twist: he wanted it to feature local writers. When the Jason and Traci met, they quickly agreed and the idea took flight. "From the airport's perspective, what we want to reflect is the community through the terminal building," Traci says. "So when Jason called us and told us how we can reflect our literary culture here from Edmonton, we were really enthusiastic about it." So how successful is the short story dispenser? "The feedback has been outstanding," Traci says. Passengers like the idea that they can self-serve stories from a machine and recognize that they're consuming the work of a local artist. "[International travellers] describe it as the topping on the dessert that was their trip here in Edmonton. It was like this final souvenir that they can take home."